This is a post by Abby Heugel. Retail is a game of numbers, and according to the National Retail Federation, customers in the U.S. returned about $351 billion worth of items that they had purchased from brick-and-mortar retailers and online stores in 2017. 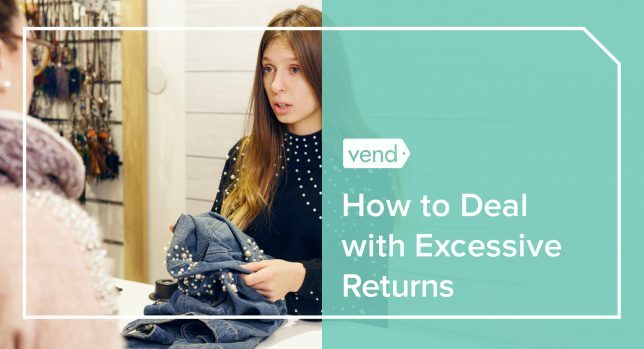 A certain amount of returned items are expected as the cost of doing business, but excessive returns are a problem that more and more retailers are facing. According to a recent report conducted in association with OnePoll, more than 40% of retailers have seen an increase in “intentional returns” in the past year. On top of that, 44% of retailers say margins are being strongly impacted by handling and packaging returns, with 70% saying they expect to be squeezed even more as the practice intensifies. The worst offenders are shoppers aged 18-34, with 22% of respondents confessing that they’ve intentionally bought more items than they intended to keep. Returns aren’t just inconvenient, they’re expensive for retailers. Not only do they represent lost sales, they also represent product that is often damaged or opened, and the need for additional staff time. In addition, the longer an item stays out of circulation and is unable to be sold, the less value it has. Things got so bad that retail giant Amazon announced in May that it would institute a lifetime ban for customers that habitually return merchandise. While Amazon’s return policy doesn’t explicitly state that excessive returns can get someone banned from the site, the company says in its conditions of use that it “reserves the right to terminate accounts in its sole discretion” and customers have reported their ban from the site. Smaller retailers are following suit, with almost two-thirds (61%) of US retailers planning to ban shoppers who deliberately and regularly buy multiple items with the intent to return some — known as “serial returners.” With 42% of U.S. retailers having seen an uplift in serial returners over the last 12 months, it’s a problem that’s not going away. There’s no 100% foolproof way to get around people who are trying to scam the system, but you can have policies and steps in place to cut down on the likelihood of that happening. In the store, make sure to always have your return policy clearly in place, and even printed on your receipts. When it comes to online sales, you have to get a bit more crafty. In-store, give people as many opportunities to experience your merchandise. Let them touch, feel, or even tastes your products if necessary. Doing so helps shoppers make a more informed decision, which in turn minimizes returns. One example of a retailer doing this is Ulta. Check out the following display, which showcases Ulta’s selection of hairdryers. 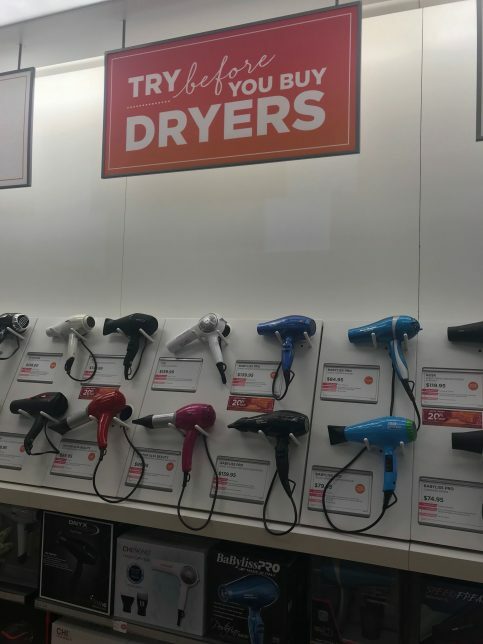 While other stores keep their hairdryers in their boxes, Ulta recognizes that customers want to touch, feel, and even switch on the dryers before buying, so they gave people the chance to do just that. Remember the viral sensation that was the “is it a blue dress or a gold dress” debate? It just went to show that clear product images and descriptions are necessary to avoid any confusion. That’s why if you’re selling online, great photography and accurate product details can do wonders in enabling users to get a more accurate and 3D-like encounter with merchandise. The clearer the picture and description, the less opportunity for any possible miscommunication — and returns. Also consider letting shoppers submit photos of themselves using your product. This gives people a glimpse of what your item looks like in the “real” world, so they can have more confidence in their purchase. 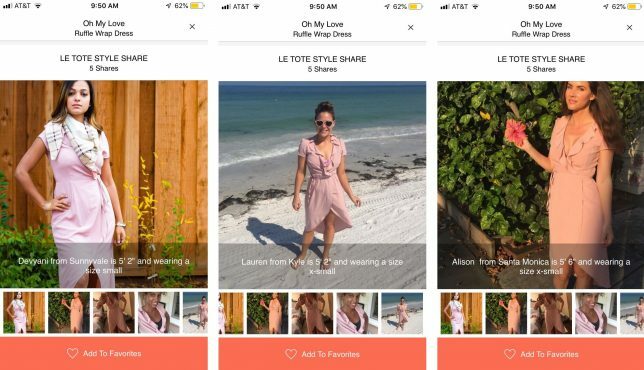 Fashion subscription service Le Tote does this well. Their product pages contain user-submitted photos that show other people wearing the item. Le Tote even includes the person’s height and the product size they’re wearing so customers can get a better idea of how an item would fit them. One of the biggest challenges to preventing returns is when customers buy multiple sizes with the intent of keeping the one that fits the best. One way to prevent this is by providing tools to help customers select the right size the first time, without having to add additional purchases with other sizes to ensure a fit. 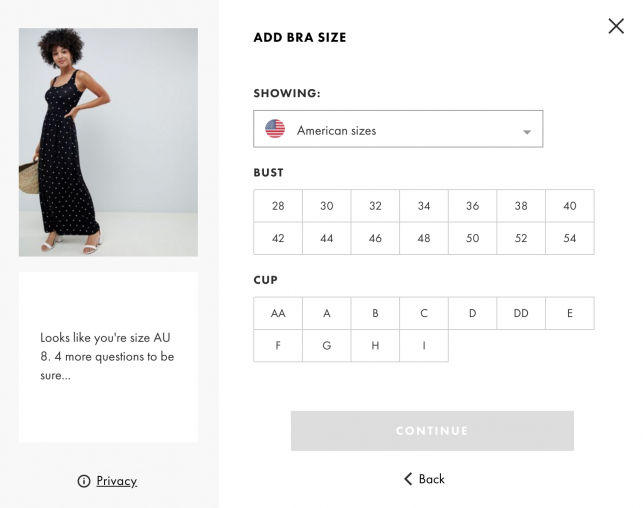 We can see this in action on Asos’ website, which is equipped with a Fit Assistant to help shoppers find the best size for them. Powered by Fit Analytics, the tools asks shoppers a series of questions and uses the answers to determine their size. Chances are you don’t make product, merchandising, or storefront design decisions without some form of customer feedback, and while it might seem counter-intuitive, the same should be true of your return policy. Asking customers to provide feedback on products not only helps other shoppers make informed choices, but it gives you valuable data that can be used to modify descriptions and fine-tune future product specs with vendor partners. By inviting candid feedback and making simple observations about the products being returned, retailers can gain insight about what customers really want. One of the biggest issues with returns is that many young shoppers buy items only to photograph themselves for images on their social media accounts, and they see returns as a logical way to try out items before they decide to keep it. And when presented with the possibility of a store ban for this practice, one-fifth said they would “never shop with a retailer that imposed such a penalty for a high return rate.” On top of that, many retailers say that they don’t have the technology to identify serial returners and don’t know if their technology could identify them. In order to keep their brand reputation, retailers should focus on how they deliver the message to shoppers about their policies so there is no miscommunication when it comes to the return policy. And while it’s often frustrating, instead of seeing returns as costs or inconveniences, see them as opportunities to wow shoppers while aiming to prevent return fraud. This can be done in several ways. If someone returned a piece of clothing because they didn’t like the style, make a friendly suggestion to take a look at the new arrivals and use this as an opportunity to up-sell other items. If a customer comes in to exchange a product, gently ask if they would like to add other items to their order, and offer to give them a (small) discount if they make the purchase right there on the spot. 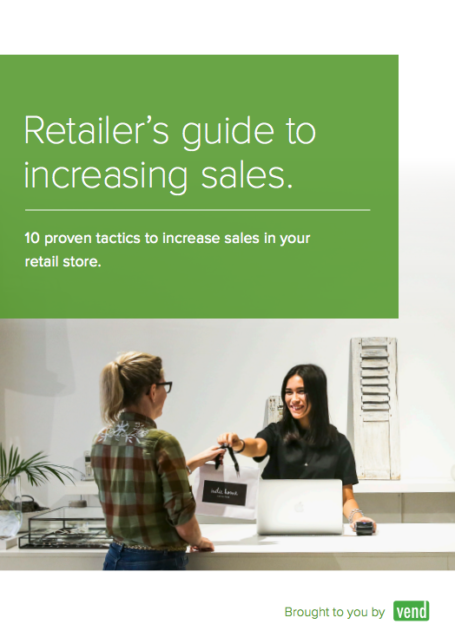 Since you’re tracking the purchase in your POS system, you will have a record of the return and additional sale, which can help you identify multiple returns from one customer and a pattern of negative behavior. 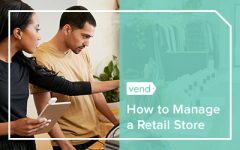 Vend lets you track your customers, stock movements, and purchase histories so you can stay on top of orders and returns. 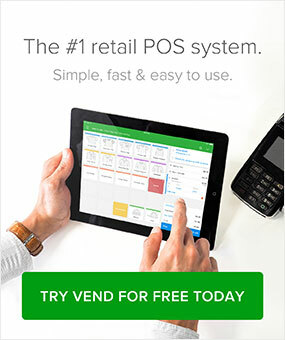 Take a tour of Vend to find out how. Determine what condition merchandise must be received and consider assessing a five to 25% restocking fee for opened items, unless defective or prohibited by law. Make sure to be selective about which products you attach this fee to, as it works best for electronics used for seasonal events and fashion items that are typically worn to higher end functions. Require a receipt for cash returns, and only refund in the same form of currency used for the purchase. If they used a credit card to buy the item, issue a credit to that same card. If they paid with a personal check, only issue a refund by mail after 14 days from receipt of the returned merchandise. This leaves enough time for the original check to clear the bank. To eliminate or limit cash refunds, consider offering store credits or equal exchanges. When accepting returns, require identification, and then use a computer database to track returns by customer and note any fraudulent or excessive returns. Of course, there are still customers that only want to try and scam the system with fraudulent returns. 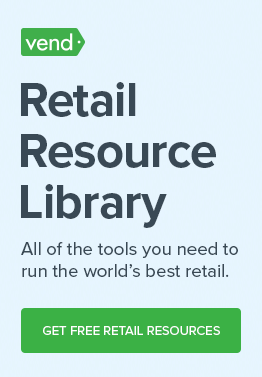 As a retailer, only you know if banning serial returners will work for your business. But it’s your job to routinely investigate, analyze, and optimize your return policy and learn as much as you possibly can about your returns and exchanges process. This will arm you with the knowledge to make better business decisions.